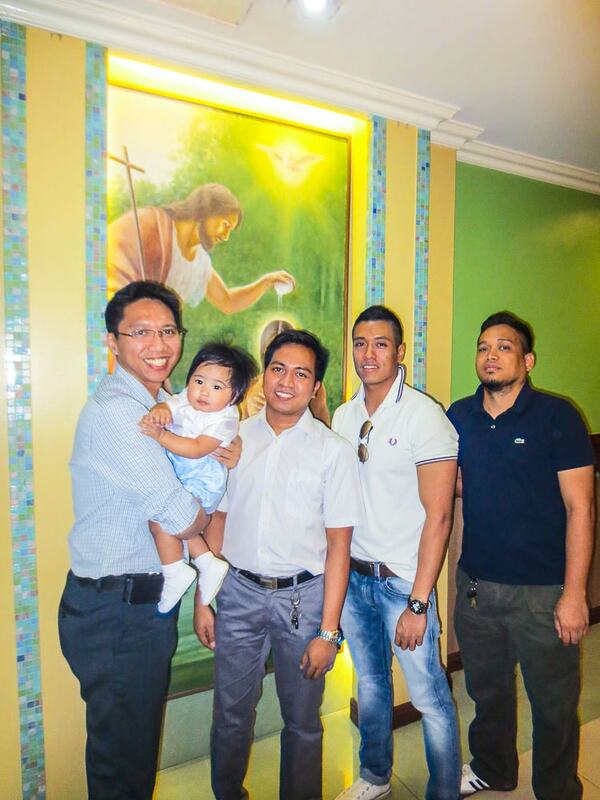 Originally, we wanted to have Rafael's baptism ceremony to be held at the UST Church (Santisimo Rosario Parish), where Ronnie and I got married in 2012. 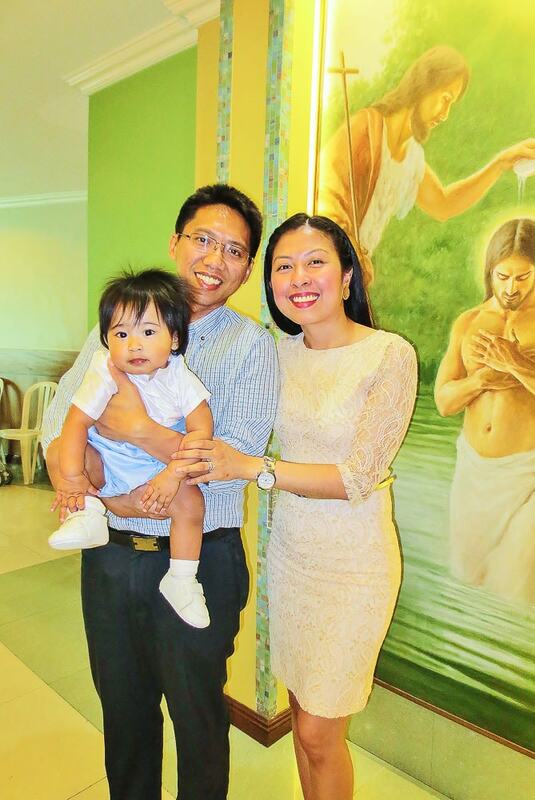 However, most Catholic churches in Metro Manila, including UST Church, require a baptism seminar for the godparents of the baby who will be receiving the sacrament. We honestly don't have anything against seminars like this but we think that it will be more convenient for everyone, especially to OFWs like us who don't have the luxury of time to stay for long here in the Philippines, to just skip the baptism seminar thing. So I started looking for an alternative church for Rafael's Christening ceremony. 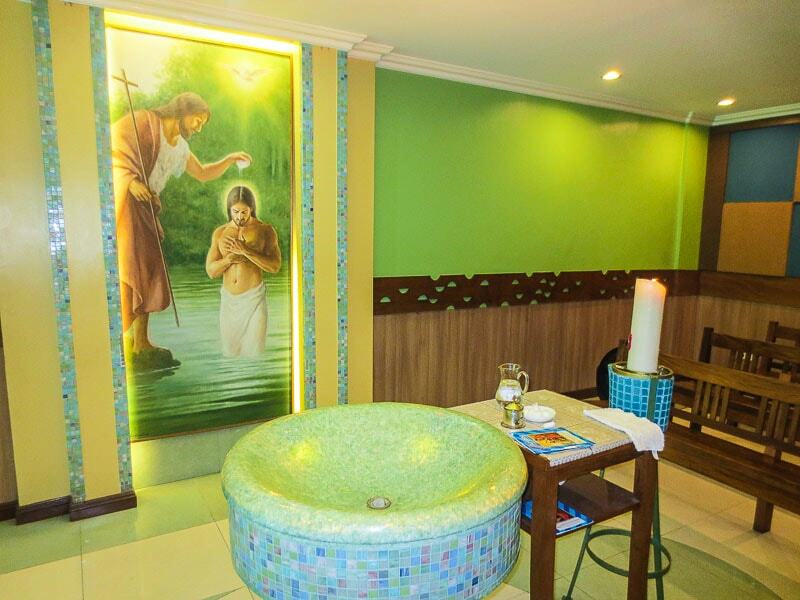 After several days of searching the internet for churches that don't require baptism seminar, I ended up having only two options: (1) Sanctuario de San Jose in Greenhills and (2) Christ The King Parish in Greenmeadows. In planning special events like this, it is important to always take into consideration the comfort and convenience of the guests since they will be required to travel from the ceremony to the reception venue. Both churches were actually a good option since there are several restaurants nearby where you can hold the reception. 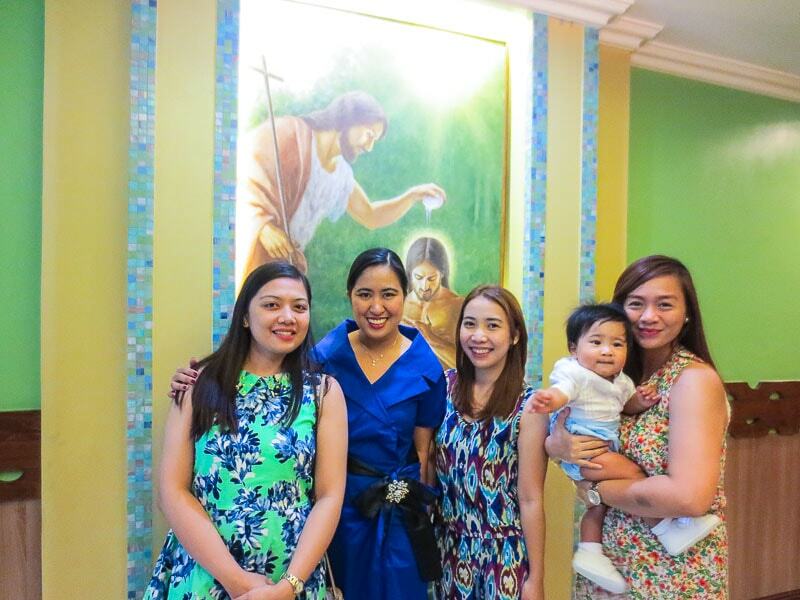 However, since we will be having Max's Restaurant for Rafael's Christening reception (with the Tiendesitas branch's function room being more spacious than Greenhills branch), we decided that Christ the King Parish would be the better option among the two. 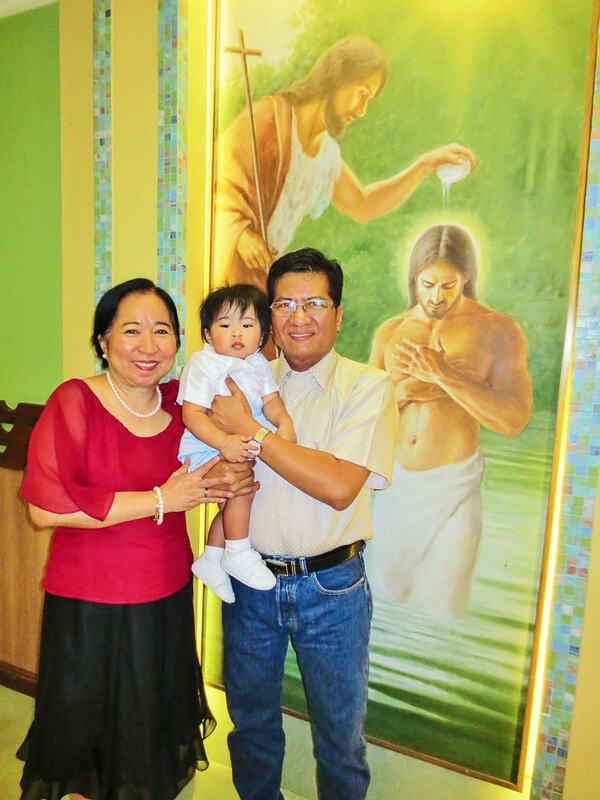 The church offers mass baptism, also known as "binyagang bayan," for Php 500 and special baptism for Php 3,200. 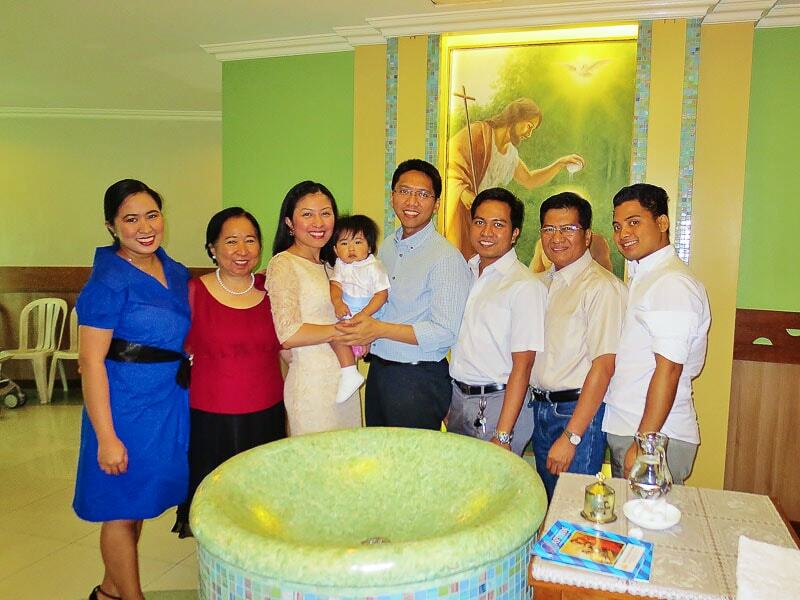 We wanted a more private Christening ceremony so we opted to have a special baptism instead. The requirements include a completed baptismal form (provided by the church) which includes the list of godparents, original and photocopy of the child's birth certificate, and the parent's marriage certificate. Since Ronnie and I were both in Abu Dhabi and we won't be coming to the Philippines a day before the event, I just provided an authorization letter in order for mama to book the schedule on my behalf. Communicating with the parish office was incredibly easy and hassle-free. Let me share with you a few photos of the event! Never miss a post by subscribing to Thoughts of a Happy Momma! Enter your email address and have updates delivered straight to your inbox.